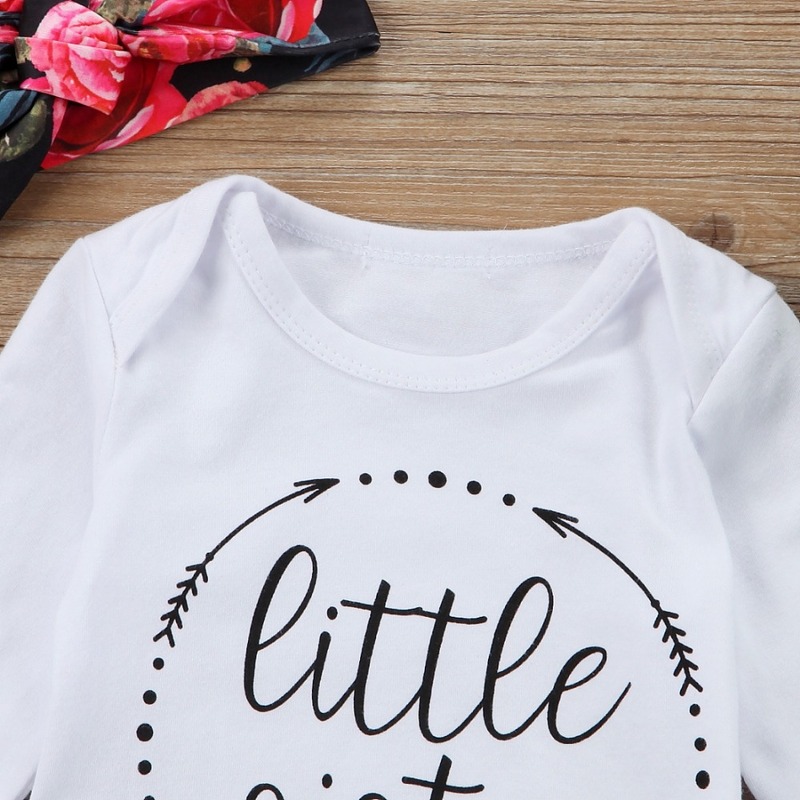 This bundle has a full length sleeves romper, pants, and headband. 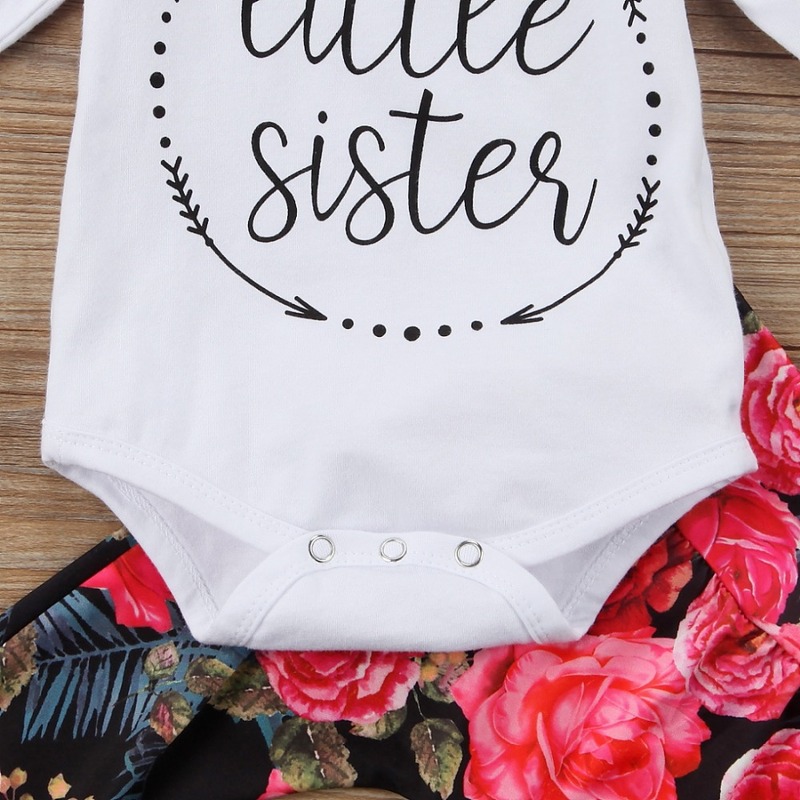 The romper has a Little Sister statement on the front and it also has a snap buttons on the lower part. The headband and pants has wild roses pattern made stretchable. We think this bundle is super fabulous.